Add quotes for term insurance, permanent insurance and final expense to your website in seconds. With no software to download, NinjaQuoter makes it easy for agents to upgrade their online life insurance quoting for consumers. Choose from multiple template designs and know those designs are responsive across all popular devices. If you don’t show on mobile, you won’t get leads. Period. 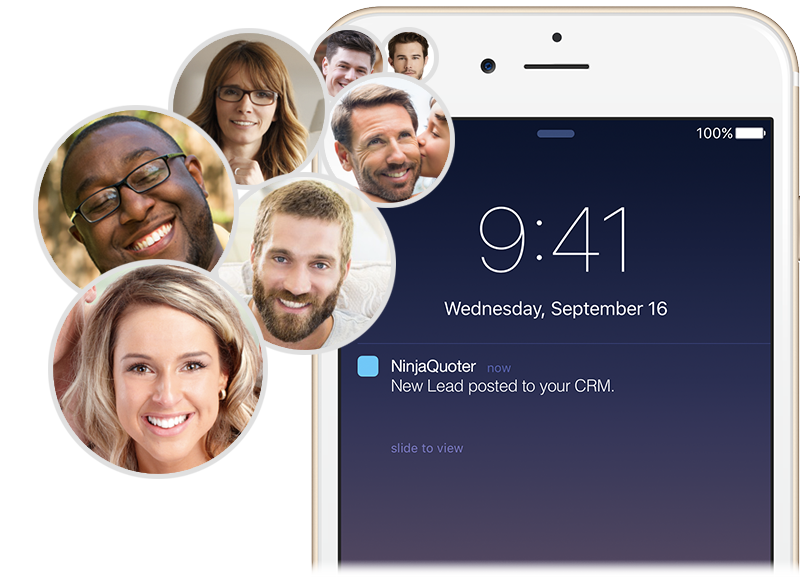 Once quotes are added to your website, NinjaQuoter will send your leads to your CRM in real time. Include an extra notification via email or text message alert and never miss an opportunity to call your clients. Ninjas hate lost efficiency, get that time and increased sales back with NinjaQuoter. Unleash the power of Ninjalytics on your website. You are smart. You don’t want to waste time or money on non-revenue producing marketing. 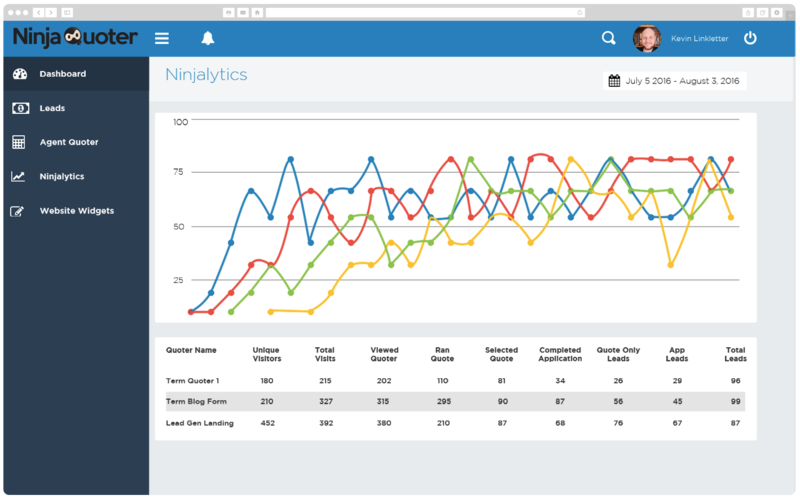 Within your Ninjalytics panel, your quoters will tell you where you should be spending time or money. Use our analytics tools to decide where to invest or divest by analyzing your lead generation funnel sorted by time period, traffic counts and lead generation. Take the guesswork out of your business. 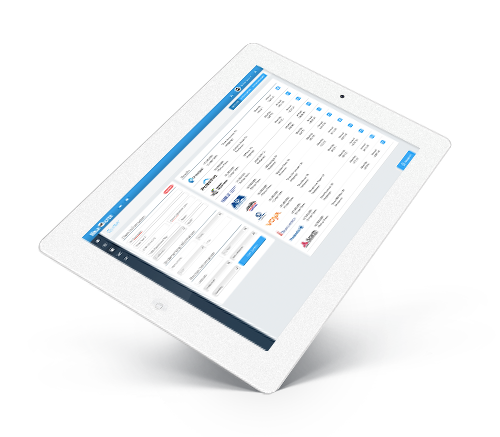 Quickly compare rates from top carriers in term, permanent and final expense on the same screen. Ninjas know that bouncing from screen to screen is inefficient and annoying. With NinjaQuoter, you can run rates in milliseconds, all on the same view. 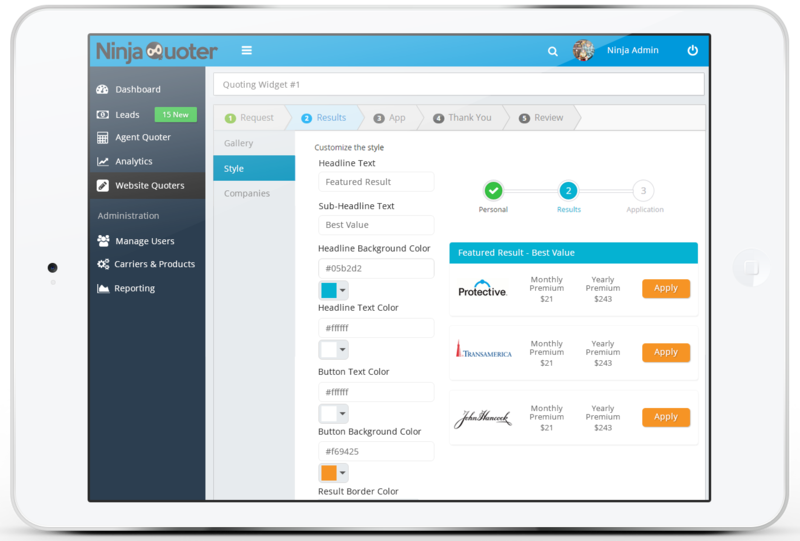 With table ratings and non med and final expense included, Agent Quoter will help you quote more cases, faster from the comfort of one system. Add a conversion focused landing page to your site in seconds with included images, text and embedded best in class website quoter. Want to run a “no exam” offer? Simply modify the text and only show Non Med carriers. Use our many years of experience in landing page design to your advantage. Don’t reinvent the wheel. Send your PPC, retargeted or email traffic to a dedicated landing page and just know that you are getting maximum conversions. Save time. Get Leads. Gain Business.